When you learn how to reduce food wastage, you can save hundreds of dollars per month and these savings add up over the years. 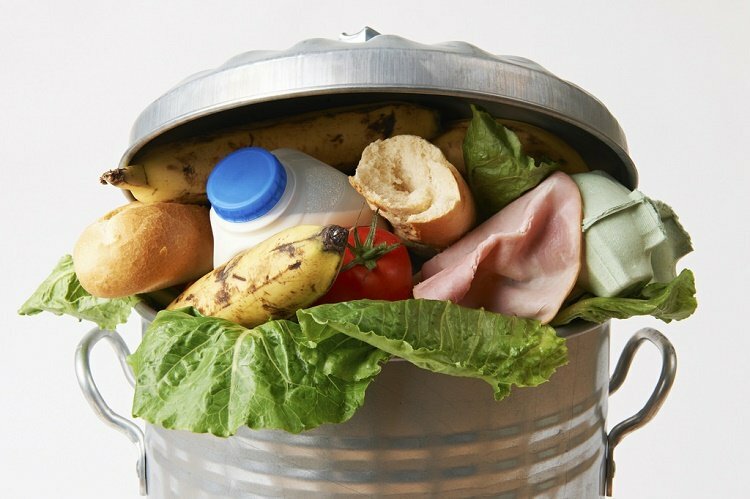 Moreover, the use of the right food waste management techniques can also help us protect our environment. Here are 15 easy ways to reduce food wastage. This is the easiest tip that can help you reduce food wastage. Often, we are tempted to buy food after reading labels on it. The food might seem healthy, so you put it your cart only to forget about it later. So only buy what you plan on eating rather than going for fad foods you end up disliking. If needed, try a sample first instead of buying it in bulk. When you shop on an empty stomach, you end up buying more than you actually consume. The best way to reduce this food wastage is to eat a light meal before shopping for groceries. Plan your shopping thoroughly and carry detailed shopping lists for the purpose. This will help you avoid buying unwanted stuff. This is one of the easiest ways of food wastage management. Pre-packaged fruits and vegetables tend to spoil faster. So, buy loose ones wherever possible. Also, always read the Use-By date and consume produce and perishables before this date. Some people like to cook in bulk, so if you plan to do the same, learn the right food preservation techniques. You can buy large freezer containers to freeze your leftovers. This is an essential part of food wastage management. You could also buy items like bread in bulk, keep 5-6 slices in the refrigerator and freeze the rest. Likewise, you can make stews, soups and broths in bulk, and use them on the evenings you are too tired to cook. You can donate leftover food cans to soup kitchens or other non-profit organizations that use these goods to serve the homeless. Make sure the food is edible and not past its use-by date. This is one of the kindest ways to do some charity and also avoid food wastage. You can support your local government’s efforts of recycling food and use leftover waste in making energy to power up homes rather than having it converted into greenhouse gases that harm the environment. Instead of scraping your dinner into the bin, use it in recipes to make lunches, brunches or snacks. For example, extra leftover rice can be used in fried rice recipes. You can also reuse leftover tortillas, fry them up and serve them with soups and stews or as crunchy starters. Likewise, softer fruits can be used up in smoothies and wilting veggies can be used up in soups and stews. There are hundreds of recipes available online that can help prevent food wastage by reusing leftovers. 8. Think about the money you will save! As stated above, buy what you eat, eat what you buy and consider your budget when shopping. Think about the money you are wasting when you throw good food away. Cook only tried and tested fool-proof recipes that are appreciated by everyone in the family. Especially to kids. Do make sure that children understand they have to clean their plate always. They can always come back for seconds if they like. Teach children the importance of food wastage management, how wasting food affects the environment and also about world hunger. Leftover food which cannot be reused or food that is past its use by date can be composted and used in gardens to grow healthy plants. Ensure keeping your refrigerator temperature between 1 and 5 degree Celsius. This is important to prevent ice formation on green produce which rots it quickly. This temperature will also keep milk and other perishable food fresh for long. Check the refrigerator door seals from time to time. Airtight sealed bags speed up the decaying process-so remove the produce from these and store in paper or cloth or mesh bags. Below are some tips to help you store produce properly. Keep tomatoes outside and not inside the refrigerator. Store green leafy vegetables in moist cloths kept in plastic bags with holes. This releases the gases (ethylene gas) and prevents the green vegetables from spoiling quickly. Never store onions and potatoes together-they will rot faster. Store bananas separately rather than keeping them in a bunch. Keep bananas away from all other fruits as they accelerate oxidization process causing the fruits to decay faster. However, keep all other produce whole and in a bunch until ready to eat. Only wash that produce which you are ready to eat since moisture accelerates decay. This is one of the simplest ways to avoid food wastage. Onions and potatoes last for months, and raspberries and bananas need to be consumed sooner. Knowing what to eat first is one of the easiest ways to avoid food wastage. Use these 15 easy ways to reduce food wastage, save money as well as our environment.